Disclosure: This post is sponsored by DeLonghi. All opinions are mine alone. 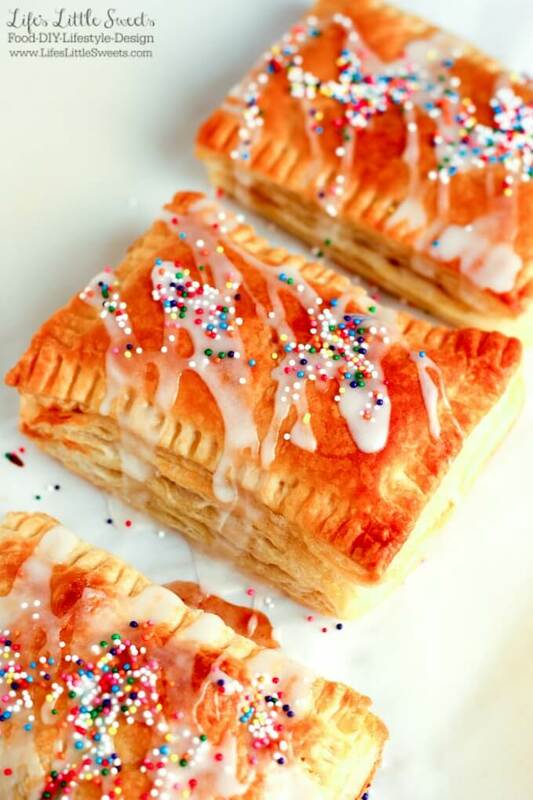 Easy Breakfast Pastry 3 Ways only takes 12-15 minutes to bake and can be customized to your tastes. 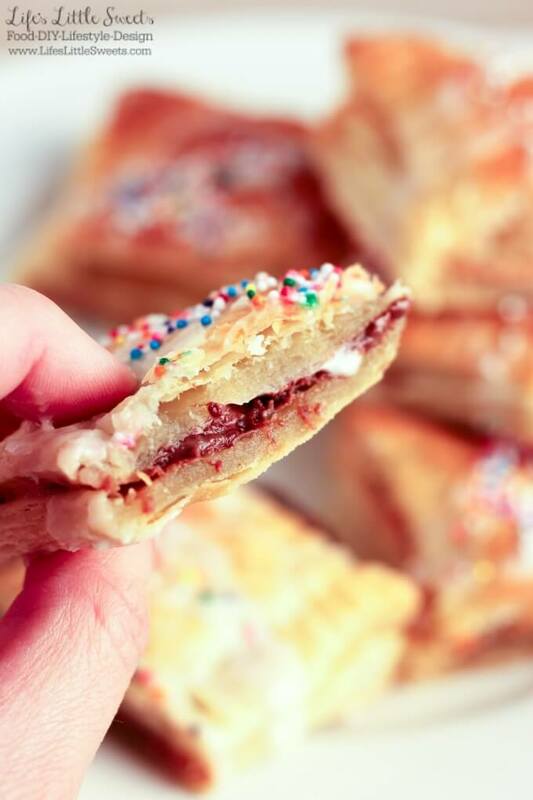 Enjoy this puff pastry stuffed with peanut butter & jelly, s’mores or peanut butter & marshmallow spread for breakfast! Hello Everyone, it’s the SECOND day of Spring! 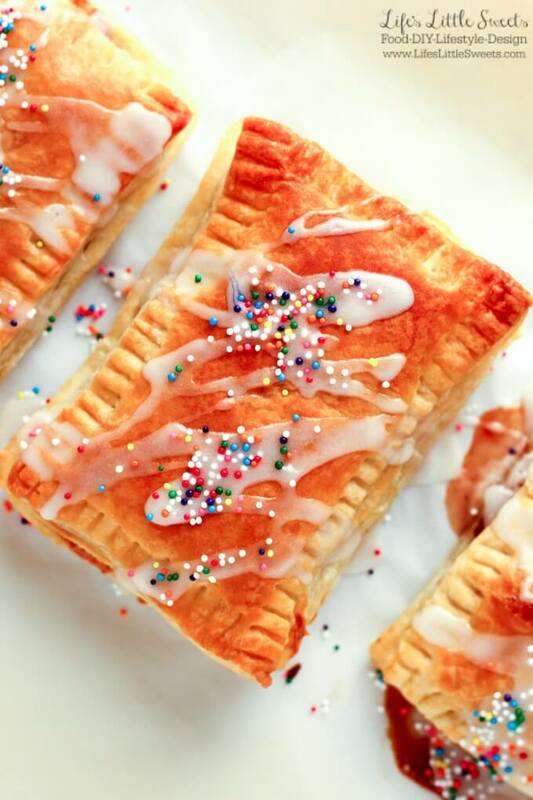 Let’s celebrate with this Easy Breakfast Pastry 3 Ways recipe! I used my new DeLonghi Livenza Convection Oven to make them and the recipe only took minutes to prepare and less than 15 minutes to cook. Before we got the DeLonghi Livenza, we had an older model Delonghi toaster oven for more than 10 years! It was a workhorse in our kitchens over the years and really served our family well. We used it every single day, multiple times a day. The older oven still works but we are remodeling our kitchen so we will donate the old one. The Livenza is in stainless steel and will match our new modern-style kitchen very well. The Livenza preheats faster than our large conventional oven, so I didn’t have to wait long to pop these Easy Breakfast Pastries in. 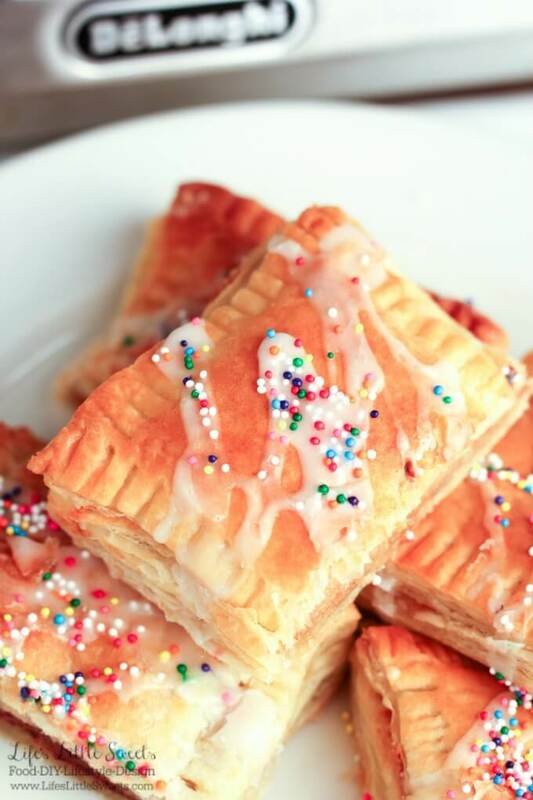 You can leave the tops plain or make 1 recipe Vanilla Coconut Icing and add some sprinkles on top like I did. I added an extra tablespoon of milk to the icing to make it extra drizzle-y. 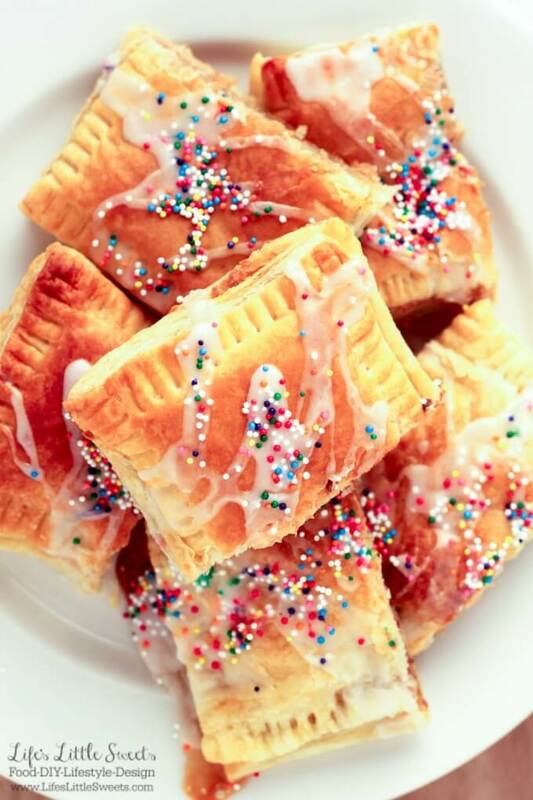 How can you resist a plateful of these Easy Breakfast Pastries? 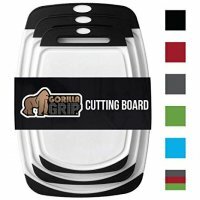 They go great with a hot cup of coffee or tea! 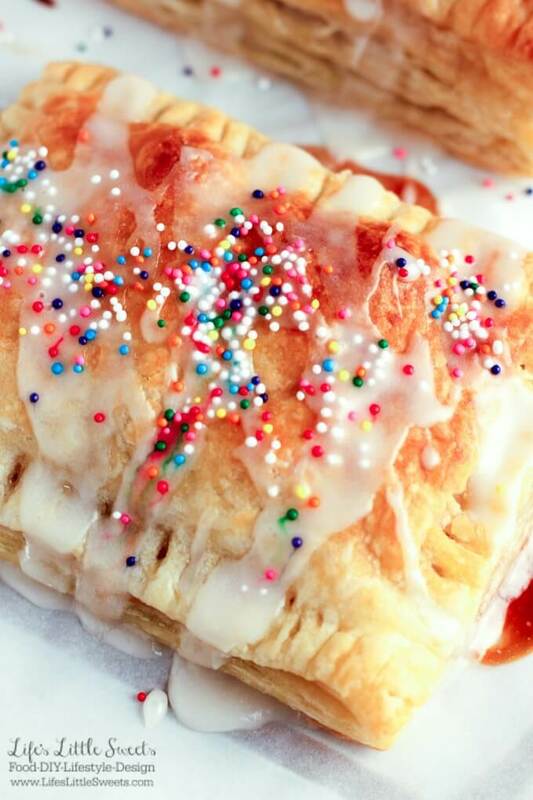 I hope you enjoy this Easy Breakfast Pastry 3 Ways recipe, the full printable recipe card is below. ?Please note: Depending on the brand of puff pastry you choose, the baking time and temperature may vary. 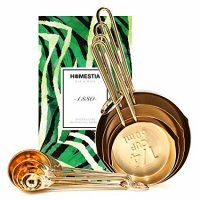 I tried several different brands when testing this recipe and they all gave different baking times and temperatures. . This recipe is just meant to be a guideline; please defer to the instructions on the package. 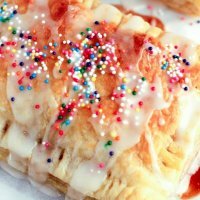 Easy Breakfast Pastry 3 Ways only takes 12-15 minutes to bake and can be customized to your tastes. 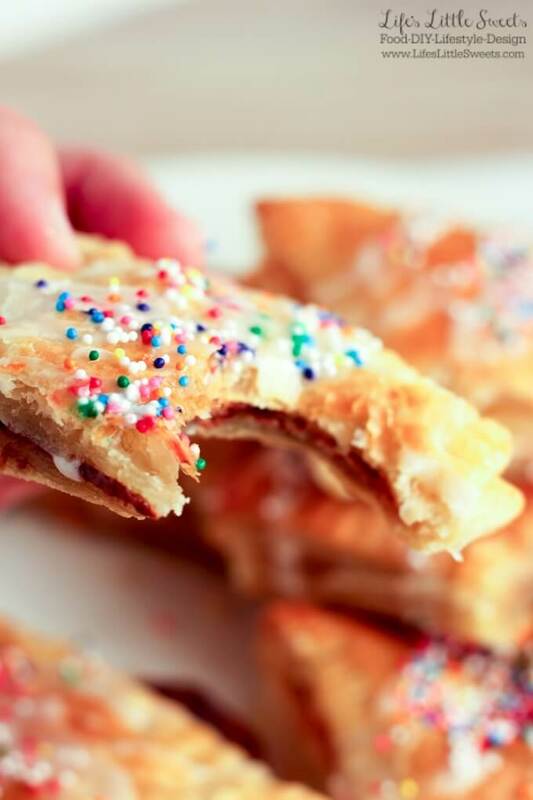 Enjoy this puff pastry stuffed with peanut butter & jelly, s'mores or peanut butter & marshmallow spread for breakfast! Cut the puff pastry along folded lines and then evenly across to make 6 equal size pieces. Peanut Butter & Jelly/Jam: Spread peanut butter on one side and then spoon jelly/jam on peanut butter and spread on top of the peanut butter. Place a 2nd piece directly on top. Dab some butter along the edges of the pastry. Using a fork, crimp the edges to seal the pastry and prick the top of the pastry for venting. S'Mores: Spread chocolate or hazelnut spread (or substitute chocolate morsels) on a blank pastry rectangle. Add 2 small graham cracker pieces. Place mini marshmallows on top. Spread butter along the edges and crimp with a fork. Prick the top of the pastry. Peanut Butter and Marshmallow Spread: Spread peanut butter on a blank pastry rectangle. Spread marshmallow spread on top of peanut butter. Butter the edges and place last pastry rectangle on top, using a fork crimp the edges and prick the top. Bake on a parchment lined pan for 12-15 minutes. For me, the pastries are done at 12 minutes. Enjoy! 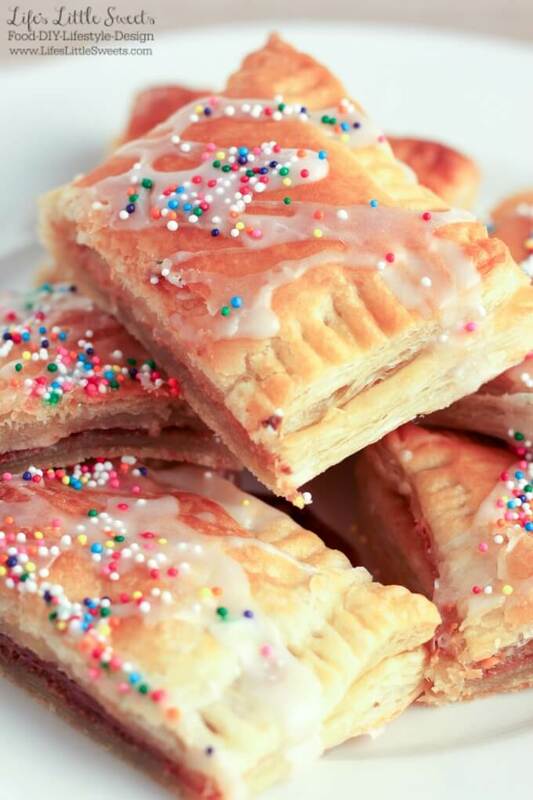 Make sure your puff pastry sheet is fully thawed before starting this recipe. Keep an eye on the pastries as they are finishing baking so that they do not burn. For me, I can take them out at the 12 minute mark and they are done. People's individual ovens will vary. 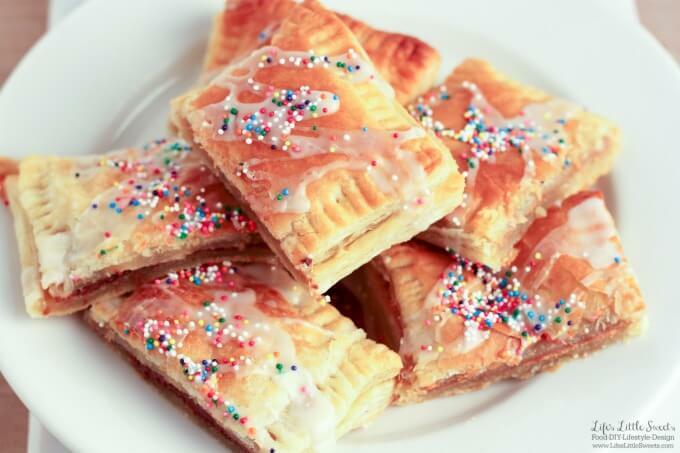 Please note: Depending on the brand of puff pastry you choose, the baking time and temperature may vary. I tried several different brands when testing this recipe and they all gave different baking times and temperatures. . This recipe is just meant to be a guideline; please defer to the instructions on the package.